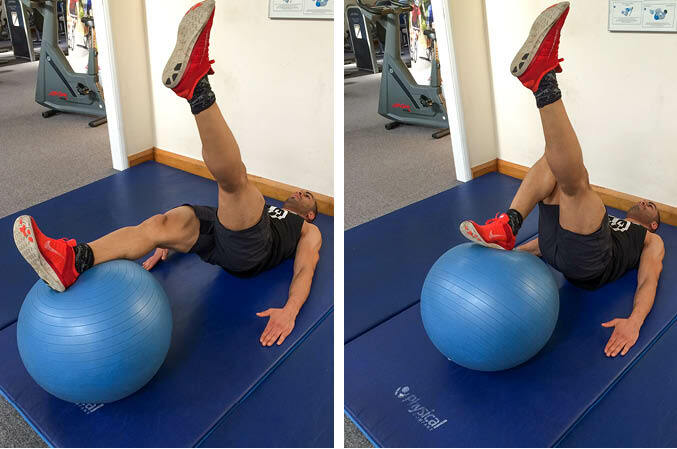 The Single-Leg Swiss Ball Curl is a lower body exercise that primarily targets the hamstrings, but also works the calves and glutes. 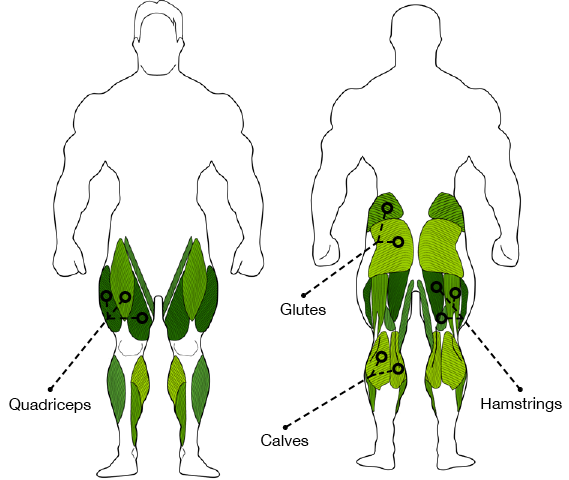 This is an isolation exercise which is well suited to beginner lifters. Lie on the floor with a swiss ball beside your feet. Place your heels on top of the ball, contract your core muscles and lift your hips up off the ground, taking your body weight through your shoulders. Take one leg off the ball and balance. Slowly bend the leg that’s on the ball, keeping the other leg straight and in line with your body. Keep your hips up and your core tight. When your leg is at 90 degrees, slowly extend it again until it is straight. Repeat until failure and then switch legs.